5 Tips for Painting You Stairs - Stair Star Inc. When you purchase a house, chances are there certain parts that you want to redo. Not that often does someone find a house that is absolutely perfect that they don’t have to change a thing. 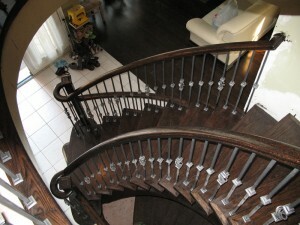 You likely will want to paint the walls, replace the flooring, and even renovate the staircase. The staircase shouldn’t be the last thought of your home, especially if it is one of the first things you see when walking through the door. 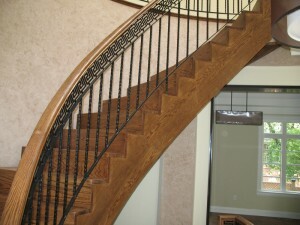 You can make your staircase a feature piece of the home and make it stand out. Alternatively, you can design it so that it blends in with the rest of the home. 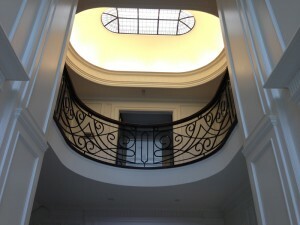 Either way, your staircase should be part of your design plan, and this may involve repainting it. Painting the staircase can be a bit challenging, but it is completely doable. With the right paint, tools, and having a few days for the project, you can take your old staircase and make it look brand new. Before you tackle this project, we have a few tips that you should consider first. It’s crucial that you have a clean staircase before you begin painting. If not, all of the dust, dirt, rocks, or anything else that stairs can collect will get stuck in the paint. When this happens, you won’t have that nice, clean, look at the end, and the paint could start to chip off. Clean every part of your staircase. From the steps to the tread and the railing, every spot that you plan to paint should be thoroughly wiped down. You can’t use just any kind of paint to do the job. You want something that is of high-quality and is meant for the interior of the home. Remember that the staircase sees a lot of traffic with dirty socks, feet, and shoes. Having good paint, along with a primer, will make it last longer and cover any scuff marks you can’t get off. For your tools, you’ll need smaller paint brushes and rollers. Too big of tools and it will be harder to get into the corners of each step. You’ll want a smooth surface for painting. If there are any bumps or things stuck to the stairs that didn’t come off when cleaning, sanding the stairs will help get rid of all of that. Otherwise, if you paint over it without sanding, again, you won’t have that clean, smooth finish. If you do not plan on painting your walls around the stairs, you’ll want to tape the edges. If not, you must be very careful not to touch the wall with your paint brush. 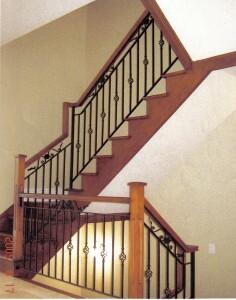 The same goes for if you are painting the railings, tread, or riser different colours. Taping around things does take more time, but it ensures that you do not spread paint to areas you do not want it to. When you begin painting, do so on every other step. You’ll be able to use the stairs then still while the paint is drying, and then do the remainder the next day. You can cover the already painted stairs for the time being to remind the family which steps are dry and which are freshly painted.